White Peony is an herb that is a great ally to other fertility herbs. It works best when combined with other herbs for fertility. Sometimes Western herbalists cannot resist using a Traditional Chinese Medicine herb because it works so wonderfully. White Peony, also known as Chinese Peony (Paeonia lactiflora) is one of those. eony also blends well with western herbs. Traditionally, this herb has been used for painful menstruation, known as dysmenorrhea, endometriosis, uterine fibroids, and PCOS. A constituent in Peony called paeoniflorin has exhibited smooth muscle relaxant ability, analgesic qualities, as well as anti-spasmodic activity. Peony is a beautiful plant; it is prized in many gardens. There are many different species of peony. Paoenia lactiflora itself has many different varieties of colored flowers. The flowers of the peony have a heavenly scent. Peony is one of the worlds most loved flowers. For medicinal purposes, the root of this plant is used. It is dried to be boiled down to make a strong tea known as a decoction. The root can also be used to make an alcohol extraction known as a tincture or liquid extract. Most clinical trials have found that when Peony is combined with Licorice Rt. (Glycyrrhiza glabra), it performs better, especially for relaxing muscles, reducing painful menstruation, as well as lowering serum and free testosterone levels in women with PCOS. An open study of 100 women with uterine fibroids showed that peony reduced the size of fibroids, as well as reduced symptoms associated with their condition. Several other studies showed that peony, when combined with licorice in equal parts, greatly reduced painful menstruation by preventing prostaglandin production. The conclusion of this finding shows that this blend action plays a key role in reducing primary dysmenorrhea, but also is very helpful in treating the underlying causes of secondary dysmenorrhea. In the 1970’s, studies showed a link to why women experience painful menstrual cramps. Scientists discovered that women with menstrual cramps had high levels of prostaglandin F2 alpha (PGF2). Prostaglandin F2 alpha is made by the uterus to stop progesterone production when there has been no implantation at the end of the menstrual cycle. Women with Dysmenorrhea have been shown to produce 7 times more prostaglandin F2 alpha than women who do not. When the prostaglandin F2 alpha is released into the blood stream in high levels it causes the uterus to spasm. This also creates a state of inflammation because PGF2 is a known inflammatory chemical in the body. Uterine cramping and inflammation is the cause of the pain. Scientists still do not know why the body produces more PGF2 in women with painful menstrual cramps. It is wonderful to know that a combination of peony and licorice may inhibit prostaglandin production, thus treating dysmenorrhea. Famous western herbalist Susun Weed finds that Dong Quai combines well with peony, astragalus and licorice for dysmenorrhea. She notes that there are fewer side effects, such as stomach upset when Dong Quai is combined with these other herbs. Peony has been combined with Dong Quai by TCM practitioners for treatment of iron deficiency anemia. According to TCM, blood deficiency is characterized by fatigue, depression, dizziness, constipation, and pale complexion. Traditionally, a decoction of peony and Dong Quai is given twice a week, for a month, to increase hematocrit levels. You will find that peony is an ally to many other medicinal herbs. It is almost always used in combination with other herbs for fertility. Dysmenorrhea (painful menstruation). Has analgesic and spasmolytic actions, relaxing smooth muscles. Combines well with Licorice Rt for this. Moves the blood in the pelvic area, good for uterine stagnation, including conditions such as uterine fibroids, endometriosis, & PCOS. Combines well with Dong Quai for treating anemia and endometriosis pain. Great to use for a vaginal steam bath for vulvar varicosities. –Dried herb decoction of root: 3-6g dried root decocted in 3 cups water. 1-3 times a day. –Liquid extract: 3-5mL, 1-2 times a day. Combines well in equal parts with Licorice Rt. and Dong Quai. *Do NOT use into pregnancy. Do not use if using blood thinning medications, if you have a history of bleeding problems, or if you have a history of heavy menstrual bleeding. Romm, A. J. (2010). Botanical medicine for womens health. St. Louis, MO: Elsevier. Iam 33 years old trying to get pregnant and got regular menstruation. Wen to the doctor. They did Ovulation testing. I have drinking fertility tea and multivitamin and Vaginal steam bath plus castor oil massage. Also trying shatavari. Doctors told me that when i will get money then they will do Laparoscopy plus IVF. I can not afford or we don’t have enough cash for IVF. My in law in laws forcing for divorce coz i cant have child. Please anyone help so i can give birth to baby. I am sorry to her this. Why did your doctor’s suggest laparoscopy and IVF? Do they know why you are unable to conceive naturally? All that you are doing seems great so far given what I know. It would be great to hear back from you though! So if not trying to conceive only trying to fix hormonal imbalance like hair loss, hirsutism, acne and irregular periods is it best to take this every day of the cyce with no breaks. Can these herbs be taken long term? White peony can be taken all cycle long without taking a break and we suggest at minimum 3-6 months for supporting hormonal balance as a part of a natural fertility program. Do you perhaps have PCOS? If so, do also search that here on NFI.com for more more information about natural therapies known to benefit women with issues such as those you are dealing with. When actively trying to conceive (ttc), one could pause White Peony and Licorice anytime between 6-10 days post ovulation. During this time if you did conceive, the embryo is traveling to implant in the uterus and until it does, it will not receive nutrients or any benefits from the mother’s body. Given these herbs are not for use in pregnancy, it is best stopped when one actively ttc. White Peony is an herb traditionally used for painful menstruation or reproductive system pain related to fertility health issues. Do you know the cause of your pain? 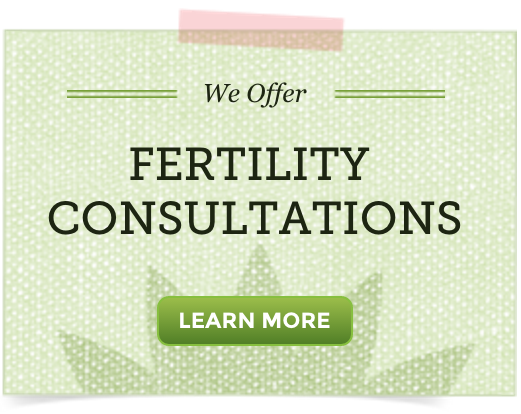 This may be helpful to know as you create a natural fertility program. White Peony is often combined with other herbs as well. Peony also causes an increase in white blood cells and should not be taken if trying to conceive. White blood cells begin to repopulate during the folicular phase, and proliferate under the influence of progesterone, which causes a hostile environment for implantation. We have not learned that White Peony should not be taken when actively trying to conceive. Can you share your resource(s) for the information you are sharing here? I’m glad to came across this info’s. I am 29 year old and been having trouble menstruating since i’m 15 year old. Back in my teen, I used to missed my period every 2-3 month. As I am getting older, my menstrual cycle have decrease and worst of all after I give birth to my son, my menstrual cycle has come to an end. I haven’t have my cycle for two year now. I am very worried because my gynocologist say my reproductive organ are in great shape, and not to worry about it too much. I been trying to conceive for a second baby but I lost hope because of my body is TOO stubborn. My question is does these herbs really help???? Herbs, nutritional supplements and natural therapies often work wonders in helping the body relearn balance given commitment to dietary and lifestyle change is made as well. White peony can be very effective as this article shares and blends well with other herbs. Reasons the menstrual cycle may be irregular are due to stress, dietary deficiencies, either high or low body weight, stopping birth control pills, hormonal imbalance, or other underlying issues. Our guide How to Get Your Period Back shares more and discusses how herbs, nutritional supplements and natural therapies can be helpful. Am suffering from painfull monthly periods and heavy bleeding, am also trying for a baby. Please do advise which supplement will help. keep up the good works. I am sorry you have to have this experience! I think our Natural Guide for Menstrual Health will be very helpful in explaining why this may be happening for you and also offer guidance on what you might try. At the root of painful menstruation and heavy menstrual bleeding is hormone imbalance. While there may be many ways to support your hormone balance, it is important to speak with your healthcare provider if your periods are causing your concern or disrupting your lifestyle.